Keep your head protected when you next head into the fray. The Tankred Steel Nasal Helmet, based on a combat helmet style commonly worn in 12th century Europe, features a unique forward tilted point at the apex of its skull. 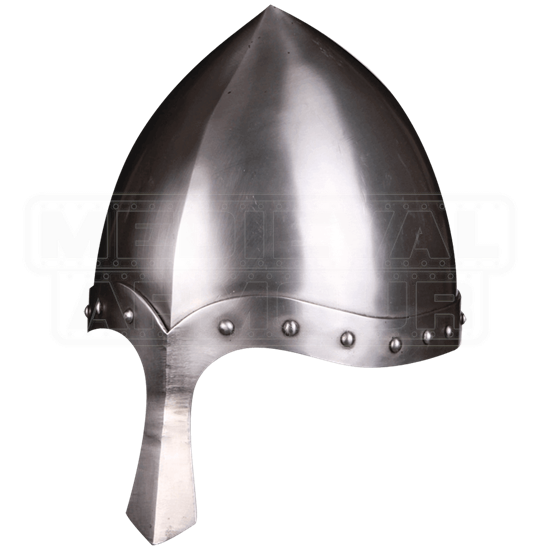 Handmade from steel, this style is sometimes referred to as the Phrygian cap shape. A slight ridge along the front of the skull ends at the point, strengthening its overall structure. Stylishly curved along its top edge, the front of the browband is accentuated with a row of rivets and extends down to form an angled nasal guard for further protection. Cotton covered foam lines the inside of the skull. Secure the Tankred Steel Nasal Helmet to your head with its two leather straps, and wear it over a padded arming cap for proper safety and comfort. 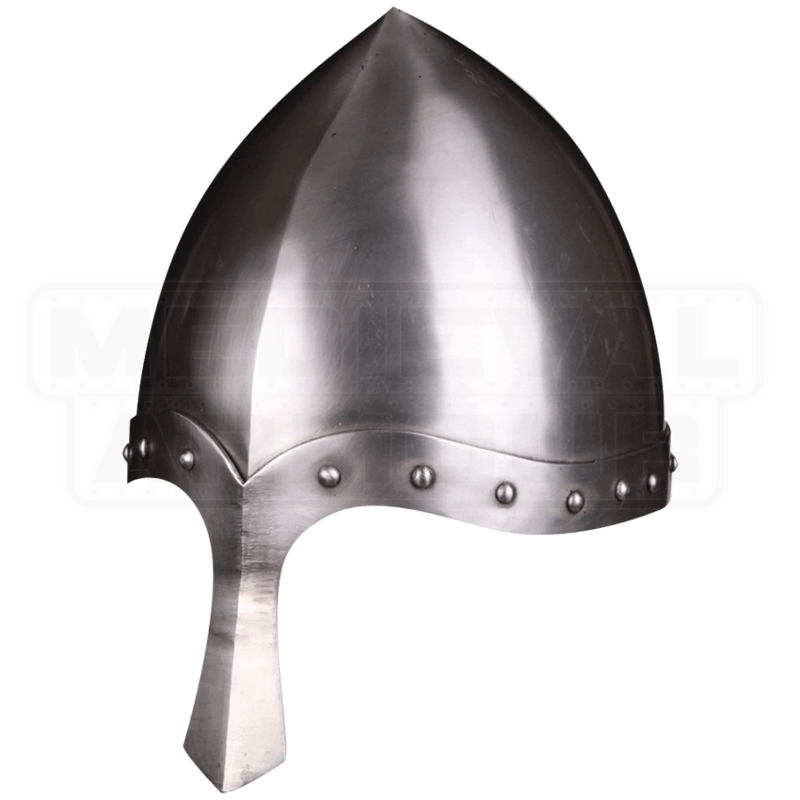 Great for medieval warrior characters of all sorts, this historic steel helmet is perfect for LARP and costume use.